» Do we have a moral obligation to host refugees? Do we have a moral obligation to host refugees? Posted on: September 9, 2015 in Politics by henrys13_wp. It cannot have escaped anyone’s notice that Europe is in the midst of a refugee crisis, with 350,000 migrants arriving by sea this year alone (the comparable figure for the whole of 2014 was 219,000). These migrants, of whom the largest contingents are from Syria, Afghanistan, and Eritrea, are mostly fleeing real threats of violence. 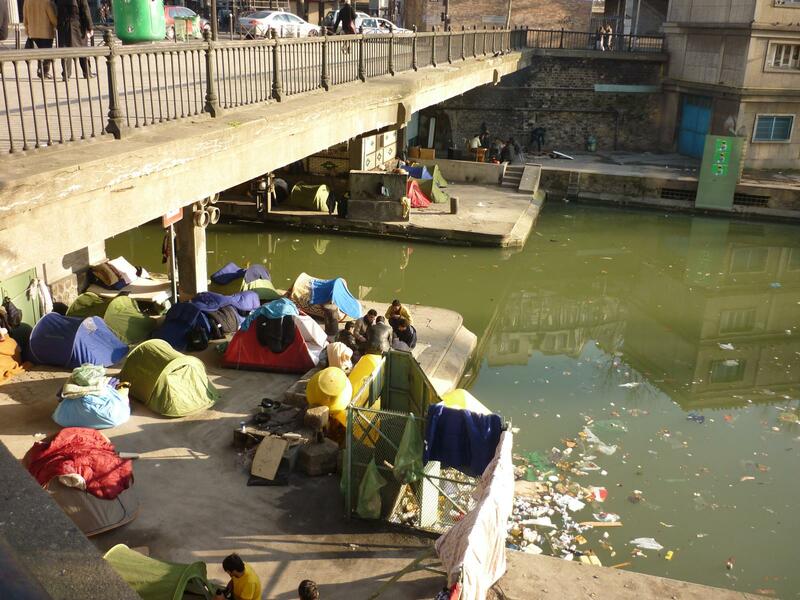 While neighboring countries like Turkey, Jordan, and Lebanon are hosting several million such refugees, Europe is seen by many such migrants as their best hope of long-term safety and economic security. Europe’s response has been patchy; whereas Germany will receive in the region of one million refugees this year, the UK has taken just 25,000 asylum seekers in the last twelve months. Much of the debate surrounding these issues has concerned morality, and whether or not we have an obligation to help those in danger. And yet there’s been little contribution to the debate by philosophers. With that in mind, I’d like to quickly examine three moral dimensions that are in the mix in this debate, the latter two of which have been rather neglected. (1) Do we have an obligation to help those in need? This kind of moral thinking is based on a kind of egocentrism. That’s not to say that it’s selfish – a code that prioritizes obligations to our family and friends can be just as onerous as a universal moral system. Rather, it’s egocentric in the sense that people’s moral significance is ultimately based on their relation to us – which sphere they occupy. Egocentrism is really deeply rooted in our primate brains, and it’s hard to shake, but it’s probably not founded on any kind of defensible moral principle. Peter Singer’s aptly titled “Drowning Child” thought experiment is designed to expose the incoherence of thinking in terms of these spheres. Before you read on, I’d actually suggest you try the thought experiment – you can do so here. Singer gives us the following scenario. Imagine your route to work takes you past a shallow pond. One day, you see a child is drowning. You can leap in and save them at minimal cost to yourself (you’ll ruin your clothes, and you’ll be late for work). Do you have a moral obligation to do so? Most people’s answer is a clear “yes” (usually followed by an “obviously, what sort of person would say otherwise?”). At this point, you tack on a few extra conditions (maybe it’s not certain that the child would drown without your help; perhaps you’re wearing an especially nice suit; maybe others are doing nothing; or perhaps you’ve done this dozens of times before). These additional considerations strike most of us as clearly morally irrelevant. And then finally, we’re asked whether geography should make a difference – if the child was in a different country, would that mean that you were no longer morally obligated to help? Again, it seems like you’d have to be a brute to say no. And then we’re left with a stark conclusion: most of us are doing the equivalent, every day, of letting children drown, by failing to make regular donations to charity that could easily, over the course of a year or less, add up to saving a child’s life. The parallels with the current refugee crisis should be grimly clear. Children are dying, and drowning, in desperate attempts to escape conflict. We can help them at relatively limited cost to ourselves. We are, as a continent, not in the situation of a lifeboat overflowing with refugees, that could tip over at any moment. Europe is large and rich, with ample resources to help. That the people we’re helping are mostly Arab and African, don’t speak English, and come from places far away shouldn’t be of any moral relevance to us. (2) But what if people don’t want more immigrants? I think the morality of immigration is, in many cases, pretty clear. However, that doesn’t mean people agree with me. Majorities or pluralities in most European countries support curbing immigration. Anti-immigrant parties are surging in popularity across the continent. Of course, it’s possible that, even if anti-immigration attitudes harden, European leaders will be able to bypass their electorates’ wishes via public obfuscation and backroom deals. But I think there would be serious harm in doing so insofar as this would involve another kind of immorality, namely the undermining of the democratic process. I don’t want to overly romanticize democracy, but as a system that seeks both to defend the interests of all its citizens, and represent the wishes of as many of them as possible, democracy thereby possesses a kind of intrinsic ethical standing. What this means in practice is that decisions arrived at democratically should command a certain degree of respect. While they’re not inviolable, should nonetheless make us think twice before overriding them. The parallel I’d draw here is with the special ethical status we give to the autonomy of individuals. If your friend Linda really wants to quit her well-paying job and try to become an actor, then it’d be immoral for you to interfere with that process, even if you think it’s a terrible decision. You can try to convince her of your point of view, of course, but stealing or covertly destroying her resignation letter would be a transgression against her autonomy. By contrast, if she writes the letter on a drunken whim, then we owe her no such consideration. Insofar as a fair and well-functioning democracy reflects the robust and abiding wishes of its citizens, it too possesses a kind of autonomy (in this respect, it’s unlike a dictatorship, whose edicts are closer to drunken whims). Of course, sometimes democracies make stupid decisions that themselves may be unethical, and to the extent that these directly and immediately involve non-citizens, their democratic mandate ceases to hold water. However, as long as a democracy is functioning well, and its edicts don’t extend to acts of violence or coercion against citizens of other countries, then we commit a serious ethical breach in violating its citizens’ wishes, whether by fraud or force. What does this mean for the immigration debate? It means that we should be wary of devising and conducting an immigration policy furtively without involving the public, and not just for the pragmatic reason that it might backfire spectacularly and empower radical and xenophobic groups. The demands of both morality and pragmatism require us to actually win the debate. The media and the academy have a certain role to play here, by seeking to convince people of the moral imperative involved in accepting refugees. In part, this just means making sure the general public aren’t misinformed by tabloid demagoguery, and are aware, for example, of just how limited the ‘payouts’ for refugees actually are in most countries. Going further, though, politicians should look for ways to make immigration more palatable for the general public without compromising its fundamental ethical basis. This might involve mostly cosmetic changes like requiring refugees to take oaths of loyalty to their host countries, or might involve new laws – for example, making it easier to deport refugees who go on to commit crimes after being naturalized. Many on the left might rankle at this sort of concession, but small changes like these might make it easier to preserve a democratic mandate for an expansive immigration policy capable of saving thousands of lives. (3) But who should pay? Lastly, we turn to the ethical question of who should pay for hosting refugees. In one sense, this is an easy question: immigrants themselves, including asylum seekers, are likely to pay for themselves in the long run via taxation and contribution to economic growth. However, that ignores the short-term economic impact of large numbers of refugees. People need to be housed and maintained while being applications are being processed. Those whose applications are accepted will then either need to be maintained at public expense or allowed to work, while children will require an education and any sick members of their family will need medical care. These are all basic human needs that we shouldn’t hesitate to provide; but none of them cheap, and all impose short-term burdens on public services that are in many cases already heavily oversubscribed. Here we encounter another neglected moral dimension of the refugee crisis: currently, it is poor citizens in developed countries who bear most of the costs of immigration, while the rich reap most of the benefits. The poor rely far more than the rich on government services, particularly health, education, and public housing, so any shortages or extended waiting lists that ensue from higher rates of immigration will be borne by them. Poorer citizens are also more likely to work in low skilled jobs, and given that asylum seekers are themselves disproportionately low skilled relative to workers in rich countries, any downward pressure on wages that ensues will again fall upon on the existing poor citizens. It might be easier to tolerate this disparity in the costs and benefits of immigration if we weren’t repeatedly being told that existing entitlements are unsustainable. To be told, on the one hand, that public services are already overstretched and must be scaled back, and to be told again that we must accommodate tens of thousands of new citizens who will be reliant on these services feels to many like a slap in the face. By contrast, wealthier citizens endure almost no costs from immigration and experience many benefits. For some, it might be simply a matter of having cheaper nannies and maids. More substantially, landlords will enjoy higher rent payments, and business owners will enjoy a continued stream of cheap labor. Cutting in the opposite direction, it’s true that, by increasing the working age population, immigrants will make it easier for the state to meet its future public pension obligations. However, unlike means-tested benefits, which accrue mainly to the poor, state pensions in most developed countries are paid to all citizens. Moreover, there’s no reason to think that future pension obligations couldn’t be met by painful increases in tax on income or wealth. But meeting those obligations via a surge in immigration makes it less likely that the rich will have to endure any such tax hikes. All of this goes some way to explain why less educated groups of people and those with lower incomes tend, in Europe at least, to be more skeptical of the benefits of immigration. Clearly, if immigration is a general ethical obligation, then it shouldn’t just be the poor who pay for it. Tying these moral dimensions together, we’re left with a fairly clear picture: in the name of global justice, we have to offer a safe haven for those fleeing from danger. And in the name of local distributive justice, the cost of this policy should be borne by the wealthy. Perhaps a one-off tax on the chief beneficiaries of immigration (targeting landlords, for example, and corporations that make use of low-skilled labor) would be a good way to proceed. This, in turn, should go some way to making immigration more popular, and ensuring that rich countries retain a broad based popular mandate for doing what’s right. Of course, “soak the rich” is an easy bit of populist politics. But given the recent swingeing cuts to public services in many developed countries, it seems unfair to ask just the poor to make further sacrifices. Moreover, given the unequal distribution of the costs and benefits of immigration, isn’t it right and proper that the wealthy should be the ones to bear the upfront costs? Great read. Thank you for writing about that subject. My mother is talking about opening an orphanage in Kurdistan. Everyday, on different Arab websites she sees images of newly orphaned children asking for help, for someone who will care. Why should the fact that they aren’t in our country, the fact that they are geographically far from us mean that we should care less? We are in a position where we can help, and we should.